Nathan Bowen is a multidisciplinary composer and cofounder of the Intermedia Arts Group, creating digital art, interactive digital compositions, and computer improvisations. He has composed for chamber ensembles, short films, orchestra, choir, theater, commercial projects, and computer music. He composed an original score for MELD Danceworks and is a member of Handcart Ensemble. He has also taught music theory, computer music, music history, solfége, and other topics at Hunter College and Purchase College. He teaches music theory and music technology at Moorpark College in California. 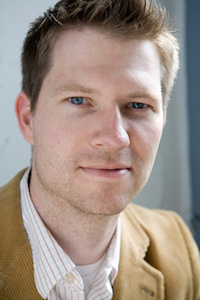 Bowen held a research position at the CUNY Graduate Center’s New Media Lab and worked as a computer technician at Harvestworks, a nonprofit digital media arts center in New York City. He earned his bachelor’s degree in music composition from Brigham Young University and his doctorate degree in music composition from the CUNY Graduate Center. This page was last edited on 3 October 2016, at 14:02.